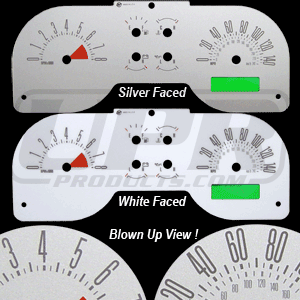 Update your factory gauge face with this all new Silver Face Gauge panel for the 2005 Mustang GT. This high quality overlay replaces the stock black face gauges your car comes with and replaces it with these Silver Faced Gauges. These gauges are made by the one of the leading manufacturers in gauges today to assure the highest quality, easiest gauges to read on the market.